At the end of the 2nd Quarter 2016, the trend in upper end real estate in Bozeman, Montana continues to back off 2015 levels for closed transactions while inventory remains fairly constant. The market is dominated by transactions in the $250,000 to $600,000 range, while the recorded closings at the end of this 2nd Quarter for properties priced $500,000 and above, in Bozeman’s MLS Areas 1 & 2, declined 30% overall from the 2nd Quarter numbers in 2015. There are 117 sales compared to 167 at the end of the 2nd Quarter, 2015. Single family residential transactions priced $1 million and above decreased by 46%, dropping from 24 transactions to 14. There is an 80% decline in sales of homes $2 million and above, dropping from 5 homes in 2015 to 1 this year. The big light in the market is that home sales are averaging 95.6% of their asking price to their closing price, and properties in the $500,000 to $750,000 range are averaging 98% of asking to closing price. 88% of the closed transactions for high-end homes this year are under $1 million. Of the 103 closing for $500,000 to $1 million homes, 65 of them are located within Bozeman City limits, continuing the trend of people desiring to be within close proximity to Downtown Bozeman. There are 77 pending sales for homes priced $500,000 and above, which signals that the market has a solid chance to completely recover from the poor 2nd Quarter figures. Nine of these are homes priced at $1 million and above. Of the 15 total closed and pending transactions for homes $1,250,000 and above, Schlauch Uhlmann has listed 4 of them and is a Dual Agent in one. No other agent is involved in more than 1 transaction. Sally and Mike are actively working with a number of high-end buyers and expect to see a shift in the market as Buy-Sells are presented. We have active buyers and are optimistic that a turn around is happening. 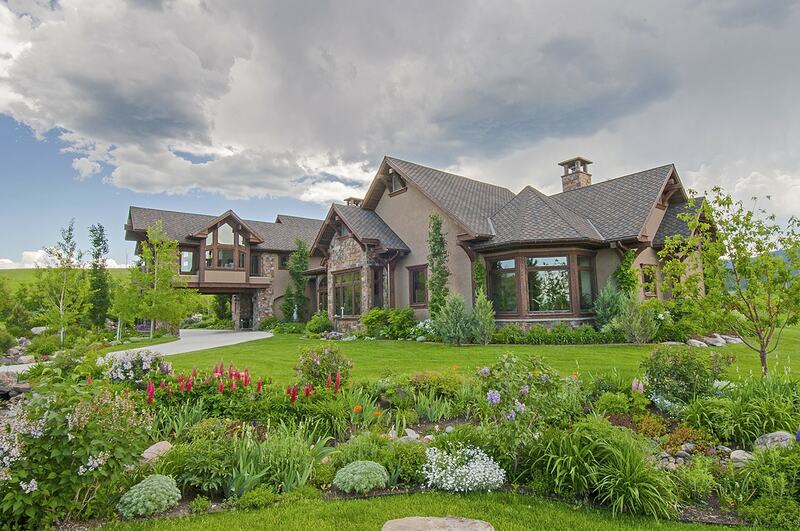 To date, the highest closed property is for a Bridger Canyon home that sold just above $2 million. A $4,495,000 property on 81 gorgeous acres is pending in the Springhill area. It is interesting to note that in both of these transactions, the buyers had been seeking Bozeman property for a number of years and visits and basically “pounced” on these as soon as they came to market as the buyers had previously not been able to find anything close to what met their needs. There are 228 active residential listings priced $500,000 and above in MLS Areas 1 & 2 compared to 220 listings at the end of the 2nd Quarter 2015. Bozeman City, with 69 listings, has the largest number. The Northside has 46 listings, the Southside has 49, and Bridger Canyon has 30. Schlauch Uhlmann represents 8 of the 24 listings—30%– of homes $2 million and above. This translates into Mike and Sally meeting and having the opportunity to present and market our listings to a majority of the high-end buyers who are looking for quality homes and vacant land. Vacant Land for single family homes on 5 or more acres is increasingly difficult to find. The inventory levels have increased approx. 10% from the beginning of this year, but have decreased approx. 38% from a year ago, with 134 listings today compared to 151 listings at the end of 2nd Quarter 2015. The largest decrease is for 5 to 10 acre parcels, which dropped 56.5%, going from 39 listings to only 17 properties on June 30, 2016. A total of 19 properties have closed, a 17% decrease from the 23 closing at the end of the 2nd Quarter in 2015. The transactions averaged 92.6% of the asking price to closing price and averaged 166 days on market. The 449 acres that have been sold so far this year averaged $18,304 an acre, which is less than a $100 an acre increase from the 1st Quarter of this year. The 5 acre tract in the Buena Vista subdivision, closing at $48,133 an acre, in Springhill, continues to be the highest price paid per acre. The 134 current land listings have an asking price of$97,460,849. To date this year, $6,596,5000 has been recorded in sales. The 19 sales are spread fairly evenly across the Valley, while Trail Creek, with 19 listings of 10 to 19.99 acres, continues to be the location for those wanting relatively inexpensive acreage close to town. The Southside now has the largest number of 20 to 39.99 acre tracts, with 24 active listings, and garners some of the highest per-acre asking prices for 20 acre tracts. Only 2 vacant land sales have transpired in Bridger Canyon this year. There are 10 pending sales, 4 of them in Trail Creek, and 3 in both Gallatin Gateway and the Southside. There’s always a reason to call Mike and Sally if you have any real estate needs, questions, or concerns. We are focused on YOU.